What Is the KeyForge Vault Tour? The Crucible's greatest prizes—the richest knowledge available to the planet's mysterious and godlike Archons—lie locked within numerous hidden Vaults. In KeyForge, you become an Archon, racing (and battling) other Archons to reap enough Æmber to forge keys and open these precious Vaults. Now, as KeyForge Organized Play races full speed toward its second age—the Time of Triumph—you will be able to pursue these Vaults in yet another way—as a player attending one of the game's upcoming Vault Tour stops! What Is the Vault Tour? The Vault Tour is an ongoing, global series of massive KeyForge tournaments that offer prizes unlike anything you'll find anywhere else. Vault Tour tournaments are open to anyone and everyone (some may even be run as Sealed events that place new players and veterans on equal footing). You can play in the main event and hunt for even more Æmber in side events. And throughout the weekend, you can expect to see players elevating their decks to the very highest levels. With early stops in the Netherlands, at Emerald City Comic Con, and at AdeptiCon, the Vault Tour offers you the chance to redeem the Æmbershards from your Master Vault account for any of the KeyForge-themed prizes from the Prize Wall, and you'll find prizes that are entirely unique to each stop along the Tour, including the winner's free flight and lodging to a later Vault Tour event! As we ramp up toward our first Vault Tour stops, we'll start offering some looks at our Prize Wall options in the Master Vault Prize Gallery, located in the Organized Play section of the KeyForge Master Vault! As a special event series, the Vault Tour sits outside the basic "pyramid" of KeyForge Organized Play. Even so, the Vault Tour connects to the pyramid at the very top—as the Vault Tour will qualify a number of the year's top points earners for participation in the invite-only KeyForge World Championship. This means the Vault Tour will work to fulfill a role in the Organized Play schema equivalent to that played by the regional-level Prime Championships and higher-level events. By bringing top-level competition to thousands of players all around the world, the Vault Tour will help ensure that the World Championship truly represents the very pinnacle of the game's competitive community. 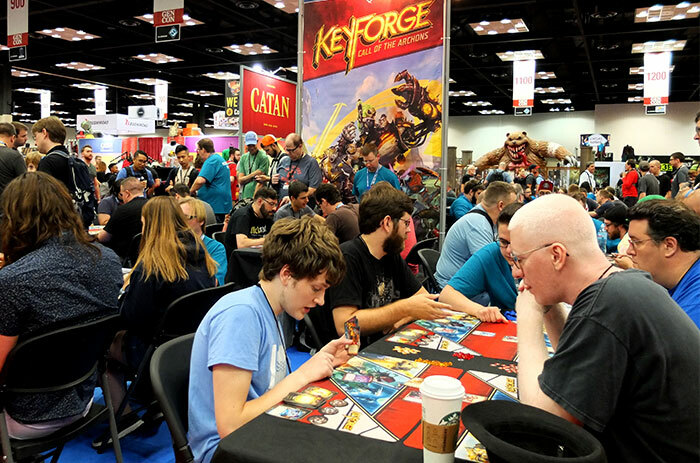 Not only will the Vault Tour qualify top players for the KeyForge World Championship, but the series will help inform players about the decks and players they can expect to see competing for the title of World Champion. 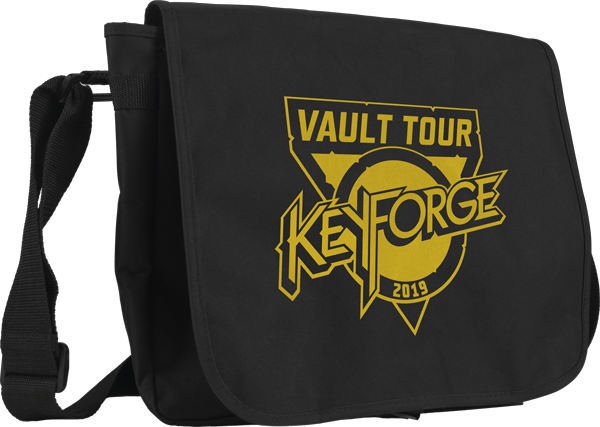 We'll be providing coverage of each Vault Tour stop—including live streams, infographics, and recap articles (with even some custom, celebratory KeyForge Quizzes)—and we'll follow the progress of the game's top players and decks as they travel from event to event. 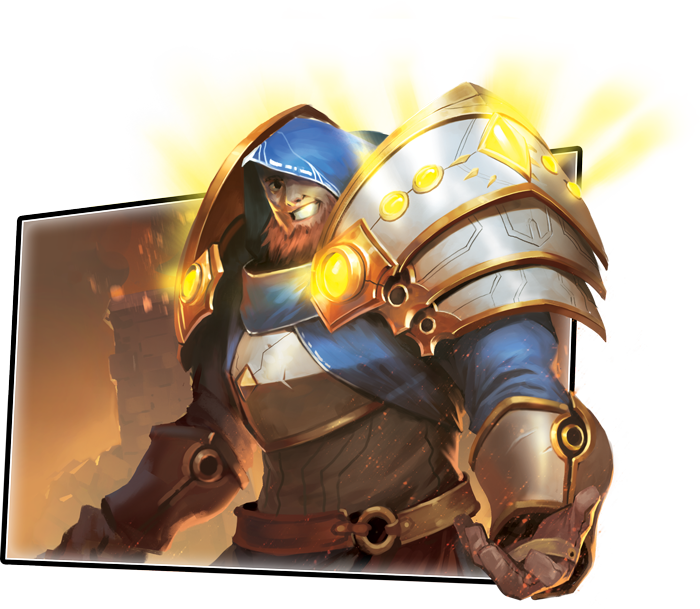 The result is that the Vault Tour will offer you an extended inside look into the highest levels of KeyForge competitive play—so that you can learn new tips and tricks from the game's greatest players! Gather Your Æmber, and Head to the Vault! If there was any question that the Time of Triumph might not feature quite enough triumph… let those worries be dispelled! The Vault Tour stands ready to offer all the triumph, all the competition, camaraderie, craziness, and prizes you could ever hope a Vault could contain. 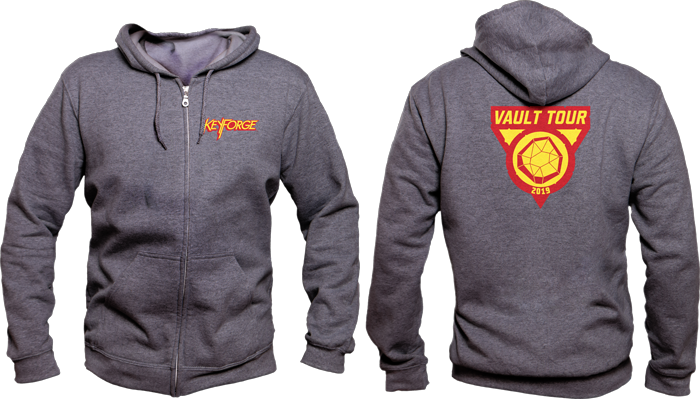 Review the list of Vault Tour events today, and start making your plans to attend!